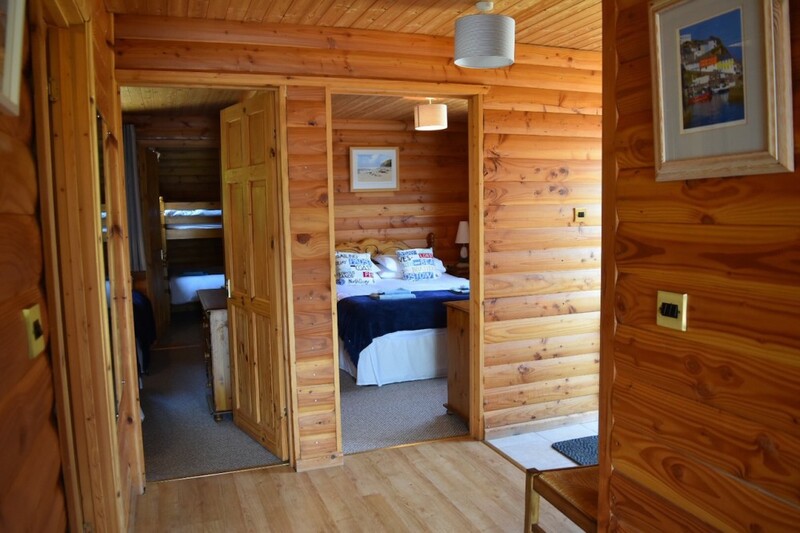 We offer three delightful and spacious log cabins, hand crafted and built in pine giving them an alpine feel. 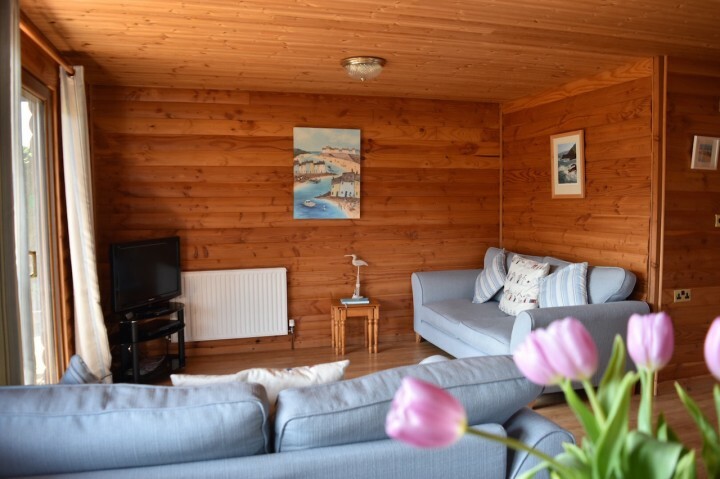 Standard throughout each lodge is an open plan dining, kitchen and lounge with private sunny balconies and outdoor BBQ’s for alfresco dining. The lodges are designed for a quality holiday in this peaceful park. Weekly bookings can be booked online on a Saturday to Saturday basis in high season. 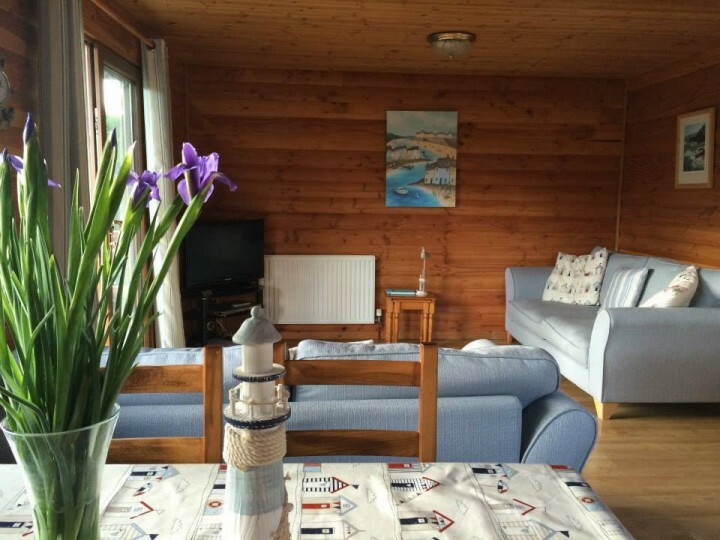 Prices start from £525 per week – shorter breaks available in low season. Sleeps up to 6 people. 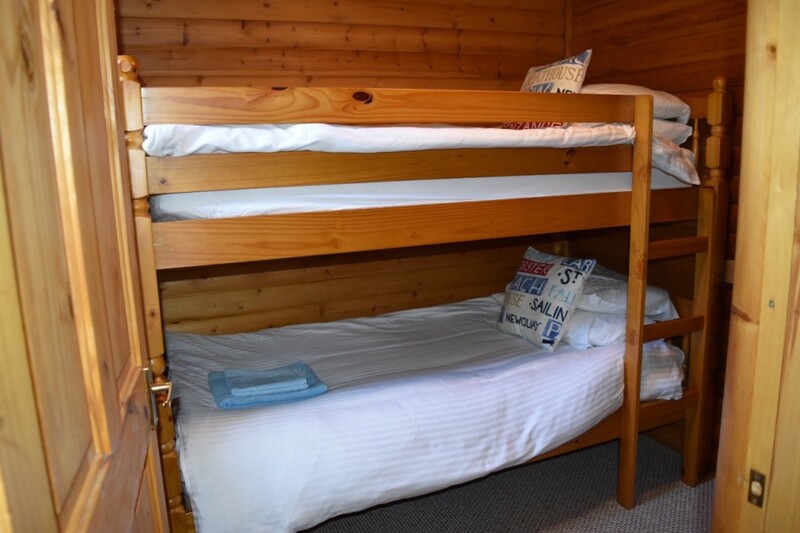 1 double, 1 twin and 1 bunk room which is accessed through the twin room. Family bathroom with toilet and shower. Ensuite toilet from twin room. Lounge and dining room with seating for 6. Sleeps up to 4 people. 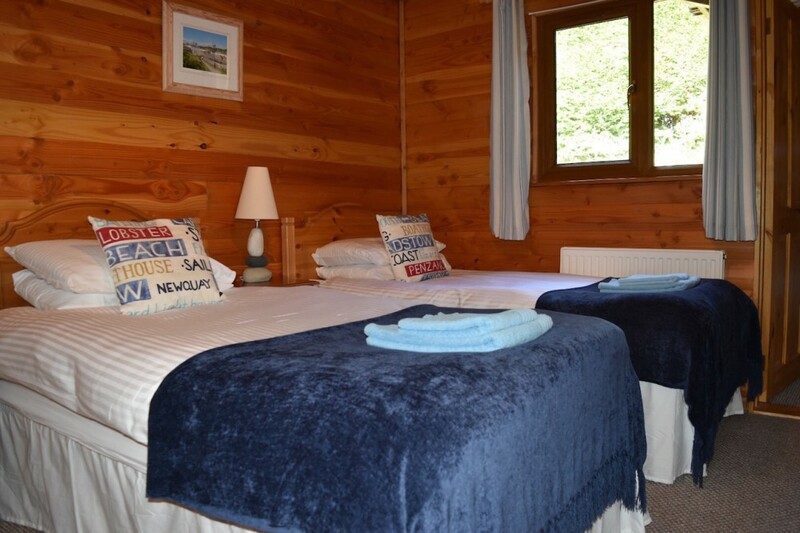 1 double and 1 twin room. Family wetroom with toilet and shower. Ensuite toilet from the double room. Designed for easy accessibility DDA specification. Lounge and dining room with seating for 4. Sleeps up to 4 people, 1 double and 1 twin room. Family bathroom and toilet with separate shower room. Lounge and dining room with seating for 4. Egyptian Cotton bed linen, hand towel and bath towel for each person, flowers, Cornish cream tea, wine, milk and condiments. Washing-up liquid, dish cloth & sponge, Guest Soap and toilet rolls. Wi-Fi throughout, TV, DVD, and board games. Childrens play park on site. 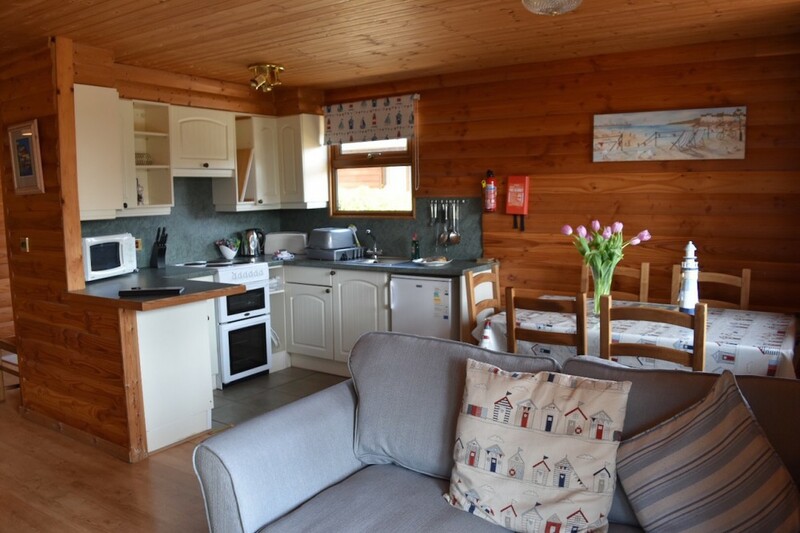 Central heating, fitted kitchen with microwave, oven, fridge freezer, shared washing machine and tumble dryer. 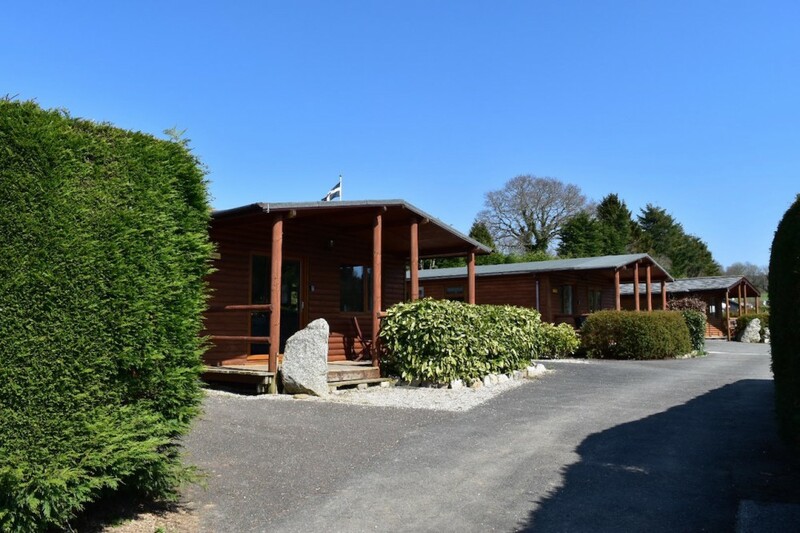 Hair dryer, washing line, private parking by lodges, key safe for arrival, cot and high chair available on request. 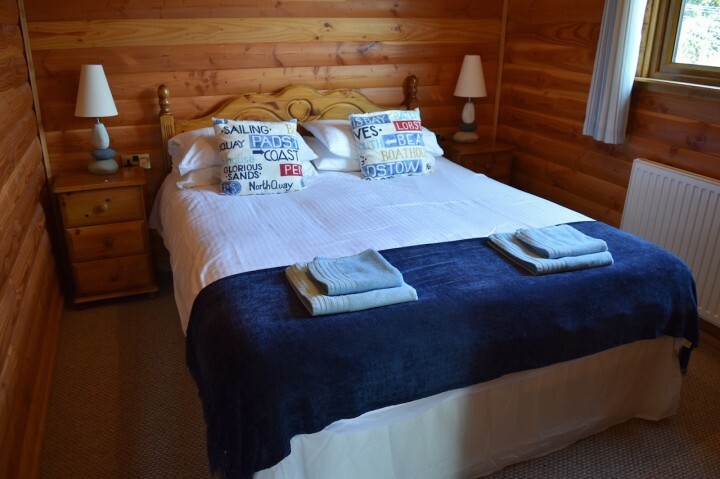 Dog friendly accommodation – Maximum of 2 dogs per log cabin – not permitted in bedrooms or on the furniture. Please see our terms and conditions for more information. We would like to remind our guests that the site is a quiet, family site with a no noise policy operating between 11pm – 7am.